Leicester’s modern metal/metalcore/prog metal champions Fractions have a new single to peddle and “Soundness Of Mind” is an expansive, highly emotional, crunching, melodic proggy powerhouse which practically renders the term ‘metalcore’ redundant. Sure, it has the expected mix of growled/clean vocals but Fractions are so much more than mere Killswitch Engage / Parkway Drive copyists. This thing soars, going to places you don’t expect and fully harnesses the adventurous spirit laid down on their self-produced 5-track EP, Forces, which was released in the Summer of 2017. 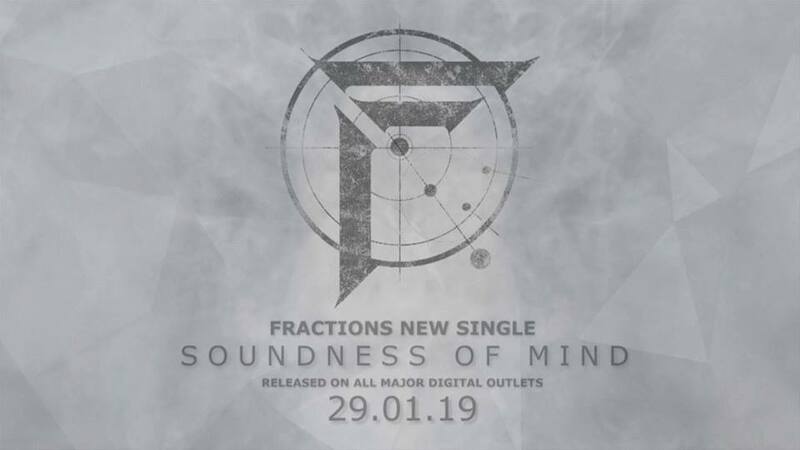 Fractions’ “Soundness Of Mind” is due for release, via all digital outlets, on 29th January 2019.